Avada theme is a multipurpose fully responsive theme. It is easy boxed or full-width. It is a good option for those looking for a clean multipurpose theme. This would be a choice for those looking for a theme with a clean & flat design. It is compatible with Woocommerce. Avada comes with its own page builder called fusion builder so that you don’t need to install any other page builder. Avada uses its own theme administration panel called fusion. This panel counts many features as you can see below to modify your theme without using CSS or PHP. 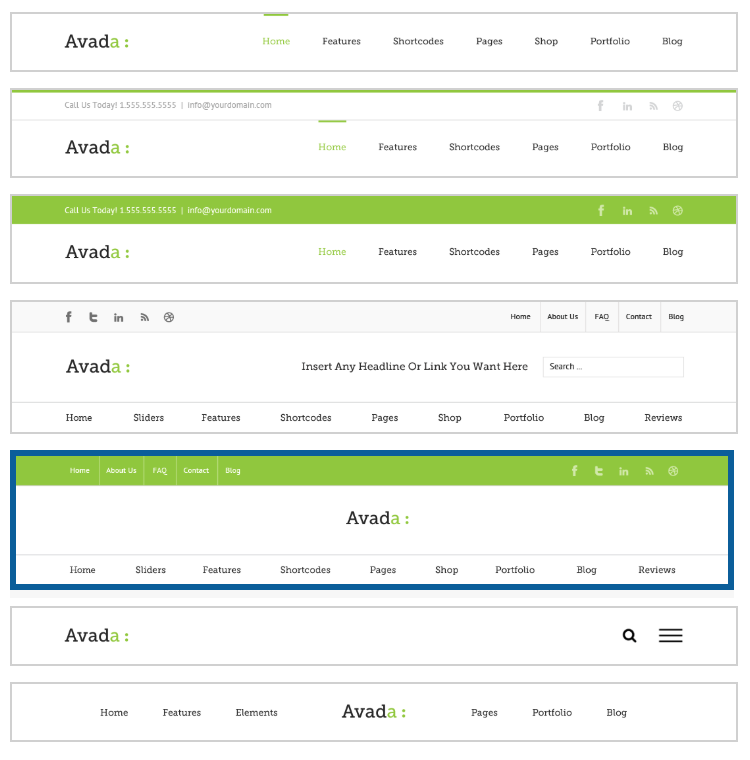 Avada comes with 7 different header layouts. the header can be sticky or not. From the theme options, you can determine whether you can the Avada header to be sticky or not. 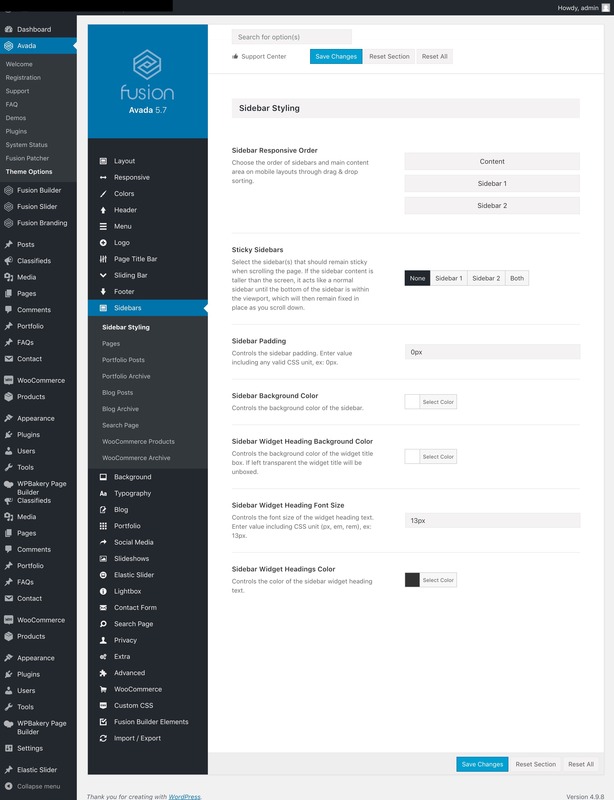 You can fully set up the menu from the theme options category in WordPress. You can modify the page title typography from the theme options. You can add or remove or modify the title bar below the title. You can also modify the footer. This means you don’t need to modify the CSS files to get a ready-to-show theme. You may decide to make a sidebar block sticky when a user scrolls down the website. You also modify the sidebar using the fusion panel. you can also add a sidebar to pages. There is a portfolio page template. It is possible to customize the woocommerce product page template. From the theme options, you can modify the fonts, the font size and the link color for the paragraph texts and for the H1, H2, H3, H4 tags. It is possible to import custom fonts.